Working on a few new styles of leaf necklaces - how cute are the little ivy leaves? And of course I can make them in any color. 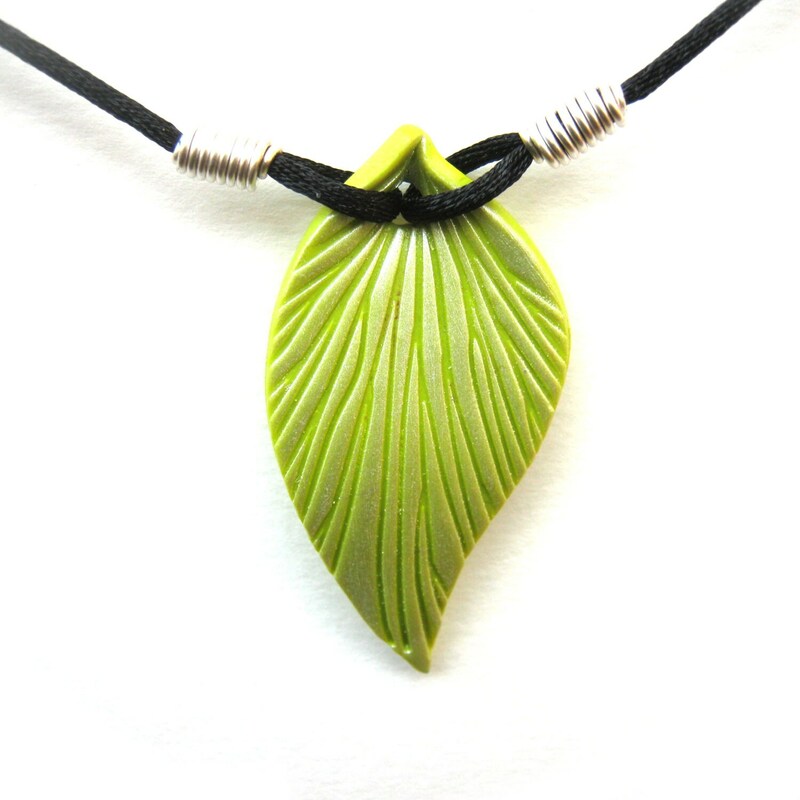 A handcrafted lime green polymer clay leaf pendant on black satin cord. Pearl white mica powder adds a touch of shimmer to the pendant. Each leaf is made by hand with polymer clay. The findings are hand-coiled and shaped from your choice of wire (shown in non-tarnish silver plated copper). Leaves are sealed with a matte acrylic finish. Looking for a different leaf color? Check out the rest of my leaf collection or contact me for your own custom leaf necklace. Please keep jewelry away from pets and small children.